$4.5/pcs MOQ100/pcs RFM92W / RFM95W 868MHz /915MHz LoRa transceiver RF module feature the LoRa TM long range rf module which core chipset are the semtech serice LoRa chipset,usually build for the ARM application. USD4.3/pcs RFM96W / RFM98W MOQ100pcs 433MHz /470MHz LoRa rf module.build by the semtech chipset with the application for ARM meters. USD3.40/pcs MOQ100pcs RFM22B /RFM23B is Low cost and have 433MHz /868MHz /915MHZ three versions wireless transceivers module. USD2.5/pcs RFM69W /RFM69HW MOQ100pcs SX1231H 433MHz /868MHz /915MHz transceiver RF module. the core chipset is SX1231 /SX1231H which is from semtech. 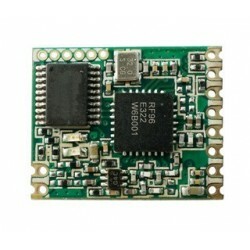 USD8/pcs MOQ100 HM-TRP-RS232 433MHz /868MHz /915MHz Data link rf module with RS232 user interface. 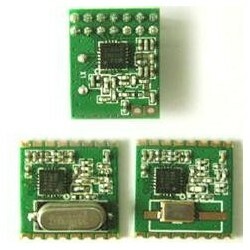 MOQ100pcs USD7.5/pcs Low cost HM-TRP Si1000 SOC 433MHz /868MHz /915MHz HopeRF Data link rf module. $6.8/pcs MOQ100pcs RFM23BP are 433MHz, 868MHz, 915MHZ HopeRF 30dBm power output highly integrated, low cost transceiver RF module. $8.5/pcs MOQ100pcs RFM98PW / RFM95PW which are Enhanced Power Long Range Transceiver Module.the available versions is RFM98PW 433MHz, and 868MHz,915MHz for RFM95PW. $7.5/pcs MOQ100pcs HM-TRLR-S series are operating at 433MHz, 868MHz, 915MHz low cost, high performance transparent transceiver with LoRa/FSK/ GFSK/OOK modulation variety.It's mainly use for uav controller and drone data link. $2.45/pcs RFM69CW / RFM69HCW MOQ100pcs SX1231H the core chipset is SX1231 /SX1231H which is from semtech., including the 433MHz,868MHz and 915MHz.